What changes in HiEd stimulated the need for AEFIS? 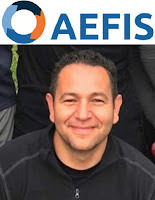 What problem does AEFIS solve? How does AEFIS automate tasks? How does it integrate with other tools, SIS, LMS? How does it compare with competing assessment solutions? How is it deployed, local, SaaS? Vivaldi: Concerto No. 3 in F Major “Autumn” (Allegro movement) by the American Baroque Orchestra.